There isn’t much that Thanos loves in this world besides himself. In his quest to collect the Infinity Stones and achieve invincibility, he can’t be bothered to get close to anyone. As seen in Guardians of the Galaxy, he doesn’t even care for his "daughters," at least in terms of being a father. However, there is one individual that he reserves all his affection for: Death. This entity has yet to appear in the Marvel Cinematic Universe, but now it’s being rumored that when we do see "her," she won’t be the same as in the comics. 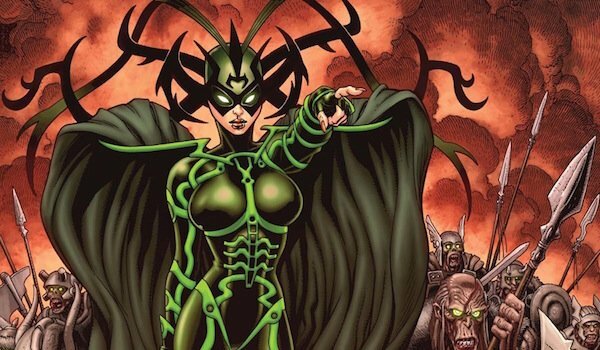 While reporting that Hela will be Thor: Ragnarok’s main antagonist, Geek.com mentioned there’s been speculation that the ruler of Hel and Niffelheim will serve as the physical embodiment of Death in the MCU. 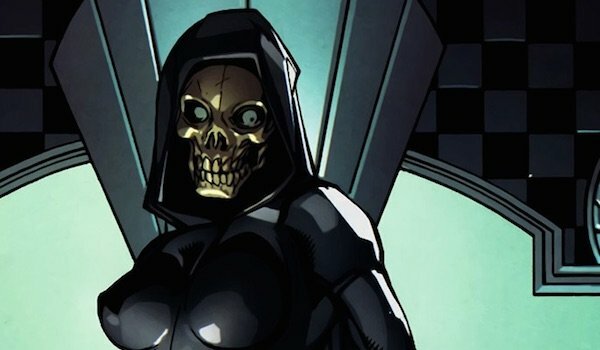 Apparently the thought is that having Death make her first appearance in Avengers: Infinity War would be confusing for the audience, but establishing a character already associated with Death in an earlier movie would provide enough setup. Although Hela and Death are both connected to the afterlife, it’s important to note the differences between them. Hela (seen above) was born a normal Asgardian, and she was chosen by Odin to be the Asgardian Goddess of Death, giving her control over the dead in Hel and Niffelheim, though she’s tried to expand her power to other areas of the Nine Realms. So while Hela’s immensely powerful, she has her limits. Death (seen below), on the other hand, is the real deal. Typically appearing as a humanoid woman, "she" is an abstract entity with infinite amounts of power and knowledge. She’s the one Thanos is obsessed with, worshipping everything Death stands for. In fact, the whole reason he collected the Infinity Stones in the comics is so he could destroy the most of the universe to prove his love to her. Although he’s caught her attention a few times, Death rarely talks to him. Thanos has been seen three times so far in the MCU, but it hasn’t been revealed yet whether Death will have a physical form in the movies. There was the vaguest of hints towards Thanos’ love for Death in The Avengers when his flunky mentioned that to battle Earth’s Mightiest Heroes would need to court death itself, prompting the Mad Titan to turn to the camera and smirk. While it’s clear the Mad Titan wants to achieve ultimate power, introducing Death, be it in Asgardian form or something grander, might give moviegoers a better understanding of what motivates him. Hela will reportedly make her MCU debut when Thor: Ragnarok is released on November 3, 2017, and then we’ll learn just how powerful she is. Meanwhile, Thanos will finally be put front and center in Avengers: Infinity War Part 1, which hits theaters on May 4, 2018.